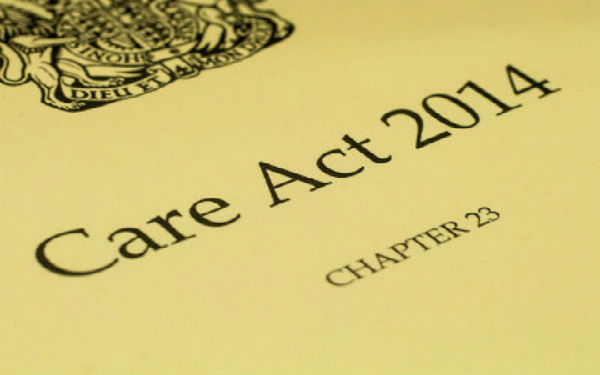 The recent High Court case where a disabled man – Luke Davey – challenged Oxfordshire council over a cut to his care package is the most significant judicial test yet of the Care Act. It demonstrates that, although the Care Act has created the opportunity to replace the dysfunctional eligibility policy approach to resource allocation to one that is person-centred, government has spurned this opportunity. Oxfordshire exemplified the government’s approach, and it was declared lawful. However, mere lawfulness is not enough. The case illustrates how, with greater clarity of thought and political integrity, it will be possible for councils to behave both lawfully and well. At the heart of the problem is the issue of managing spend within a budget. Eligibility policies achieve this by defining ‘need’ to match the budget, with ‘eligible’ needs comprising the core business of the council. The law, however, requires this to be done covertly. It must be disguised so it appears that need, not resources, drives their decisions. The Oxfordshire case shows how little councils have to do, how unconvincing the disguise needs to be, to satisfy this requirement. Luke Davey had been receiving 24-hour support for many years and had largely the same team of carers since 1999. Assessments throughout this time had stated 24-hour support was needed and that he became anxious when alone. His care package was worth £1650: about £700 was paid by the Independent Living Fund (ILF) and £900 by the council. Two things changed in 2015. The first was that ILF funding came to an end nationally in June 2015. The second was that Davey was identified as needing to have the option of spending more time on his own to develop his independence. This was followed by a support plan to reduce his personal budget over time to £950 a week, based on 17.5 hours a day of support (later uprated to 18). As well as the reduced hours his budget was based on Davey offering reduced his personal assistants reduced terms and conditions. The ILF funding came to an end at roughly the same time as the change in Davey’s assessment. Was this a coincidence? The reduction in support of six hours a day resulted in a reduction in spend that matched the removed ILF funding of £700 a week almost precisely. Was this also a coincidence? A social worker’s assessment in January 2015 concluded that Davey still needed 24-hour support but whether this support was provided by PAs or live-in carers (which would have cost much less) depended on a funding panel decision on the size of the personal budget. After the funding panel decided his personal budget should be reduced to £900 a week (later uprated to £950), a subsequent assessment by an OT, in September 2015, concluded that Davey should have the option of spending more time alone. This was followed by a support plan, completed by the social worker who carried out the January 2015 assessment, based on 17.5 hours (later 18 hours) of support. What explains the change in the number of hours support he was assessed as needing before and after the funding panel decision? It can be no surprise that Davey believed the decision to be led by resources, not an authentic view of his needs. The sequence of events bears the unmistakeable hallmarks of an assessment being changed by the budget holder. How much budget holders are influenced by money and how much by what they believe to be practice knowledge superior to that of the practitioner, cannot be discerned. However, the practitioner accepting ownership of the changed assessment provides essential credibility that the decision was a practice-led, not a finance-led decision. There is evidence in Davey’s case that there was actually some merit in the idea of leaving him alone for periods of time to increase his resilience and that he had become overly dependent on his carers. But if that was truly practitioners’ view, why did the social worker not act on it in the January assessment and why didn’t other professionals do so in preceding years? What was certainly different was that up to that point, there was no cost to the council as the higher levels of support were funded by the ILF. The assessment changed when that funding would have fallen to the council. Eligibility policies work by councils only meeting needs that they are under a legal duty to meet. Spend matches budget by adjusting ‘need’ accordingly – councils have no choice but to do this given the imperative to spend within budget. However, the Care Act has created an alternative. Assessed needs fall into two groups – those that councils are under a duty to meet and those that they have a power to meet. This enables a very different approach to managing spend. It becomes possible to say an assessed need cannot be afforded. ‘Need’ no longer has to be determined by resources. The Care Act could have allowed Luke Davey’s situation to be managed quite differently. Councils could define the threshold that determines whether an assessed need is one they are under a duty to meet or one they have a power to meet, such that the duty to meet need consists of a minimum guarantee or safety net. This would apply to all service users as a council wide standard, ensuring basic needs are met. In Luke Davey’s case, £750 would have sufficed as this would have funded a live-in carer, notwithstanding his dislike of the idea. A practitioner would then have been able to explore with Davey his broader needs for well-being. These could have been met with council funding under the power to do so. This at a stroke would have removed the requirement to diminish Davey’s view of any needs that cost more than the council was willing to pay as mere ‘wishes’. The practitioner would have been free to properly engage and negotiate with Davey to arrive at a view of his needs that was demonstrably not led by resources. His views would have been treated with due respect, whether or not fully agreed with. The practitioner would have come up with a level of support right for Davey at a cost somewhere between £750 and £1225 a week, the amount Davey proposed he should receive. The budget holder’s job would then have been to decide how much of the assessed needs above £750 could be afforded, also taking into account the intended outcomes at various levels of support. It would not be to change the assessment. Davey may, of course, still have been unhappy with the budget holder’s decision. But he would have known the reason was the level of funding, not a different and highly contested view of his needs. If he wanted to make representations, it would have been to the political, not the judicial, system. Not only would this have saved a costly and fruitless exercise, this is surely the right place to address the impact on people of the level of funding for social care. This approach would not expose political leaders to unaffordable demand. But it would require them to accept knowing the true cost of enabling people have an appropriate level of well-being. They would have to forsake the comfort that eligibility policies allow of putting their head in the sand because ‘eligible’ needs are always met. The difficult, costly and bruising process that Luke Davey experienced was not the fault of either the council or the court. Both did what they had to do given the dominance of the continued use of eligibility policies to manage the tension between needs and resources. Eligibility policies create a black and white, eligible v non-eligible view of ‘need’ that is resource led. An adversarial relationship between the practitioner and service user is created. The service user’s view of their needs, if they happen to cost more than the council is able to fund, is reduced to them being mere wishes. People who want to live at home but whose support requirements cost more than the council is able to fund and so are offered residential care are told the residential care will meet their ‘needs’. Whatever the service user says about being independent and having the self-worth that only home can give them is reduced to mere ‘wishes’. Such a black and white approach is right and proper in relation to a minimum guarantee that provides a safety net. But it’s in the shades of grey beyond the safety net that there is potential for practitioners to work in genuine, creative partnership with service users. If councils are to find the best, most productive, most cost-effective ways to understand each person’s needs and how to meet them, they must be free to explore the real experience of need and to weigh up costs and outcomes. The Care Act has made this possible. However, the government’s construction of the statutory guidance and regulations is ensuring eligibility policies remain dominant. This has so bad that the Councils are working together with the NHS so that the whole funding which used to be non means tested by the NHS is now being passed on to the Means tested Council system and therefore in numerous cases the cost of care has to be met by the Person in need. Surely the NHS should be free ?? I’ve been asked today for any guidance on how to persuade the local authority to recognise and meet the educational ‘outcome’ specified in ‘wellbeing’ and eligibility criteria. Anyone have experience of this?